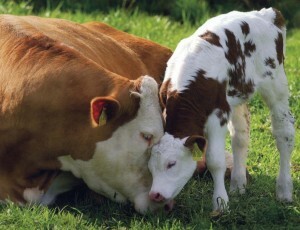 Shamelessly cute cow with calf. I am NOT apologetic if it motivates you to contact your MLA. The other day I contacted the BC SPCA to ask how Joe and Jeni Citizen (that’s you and me) can support turning the Canadian Code of Practice for the Care and Handling of Farm Animals — which outlines standards for humane treatment of all manner of livestock, including dairy cattle — into law. This entry was posted in Industry Issues and tagged animal welfare, BC SPCA, Canadian Code of Practice for the Care and Handling of Dairy Cattle, Canadian Code of Practice for the Care and Handling of Farm Animals, cow, dairy cattle, dairy cow on June 27, 2014 by local delicious. 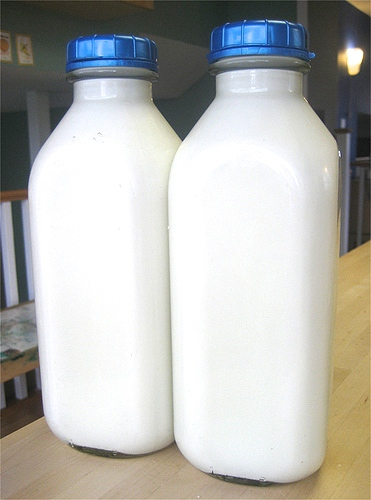 Have you thought about the milk you’ve been drinking this week and where it came from? It’s so easy to let yesterweek’s news of animal cruelty in the dairy industry slip between the cracks of things you care about and want to change, and things you just need to get done to survive the week. Life is busy, I get it. This entry was posted in General, Industry Issues and tagged BC Milk Marketing Board, BC SPCA, Chilliwack Cattle Sales, factory dairy farm, factory farm, Mercy for Animals Canada, Saputo on June 26, 2014 by local delicious.